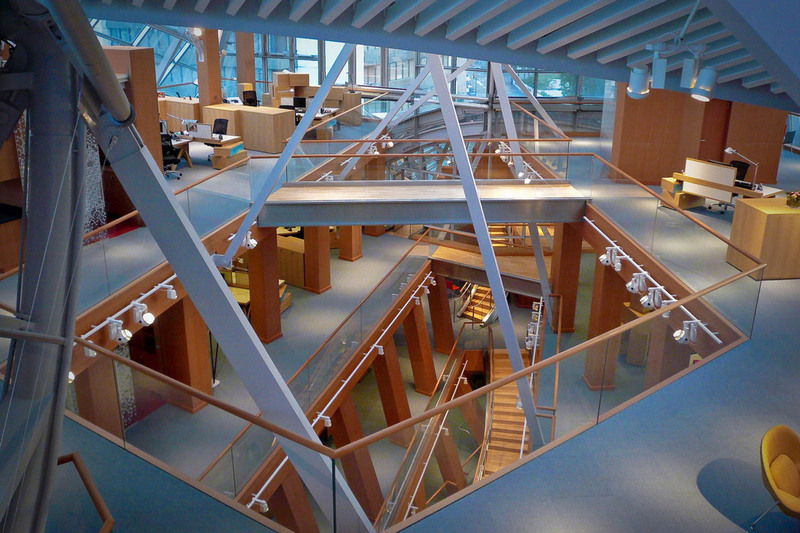 Novartis is one of the world’s leading pharmaceutical companies, with its headquarters in Basel, Switzerland. 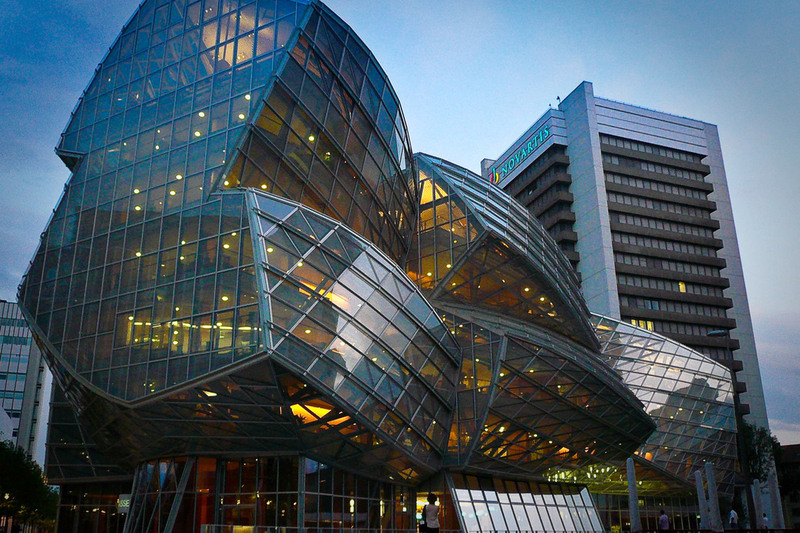 A highlight of the campus, which aims to offer a well designed and comfortable place for collaboration, is an all- glass building designed by Frank Gehry. 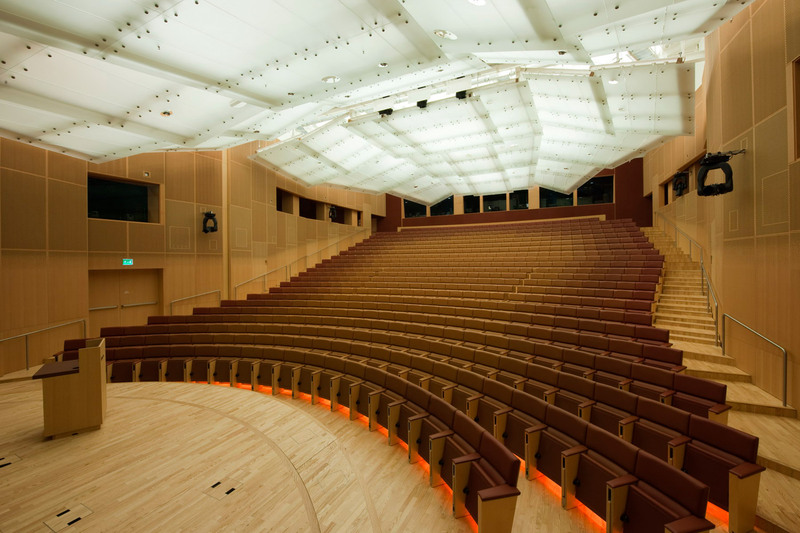 Inside is a master auditorium with next-generation audio, video, system control and conferencing technology. 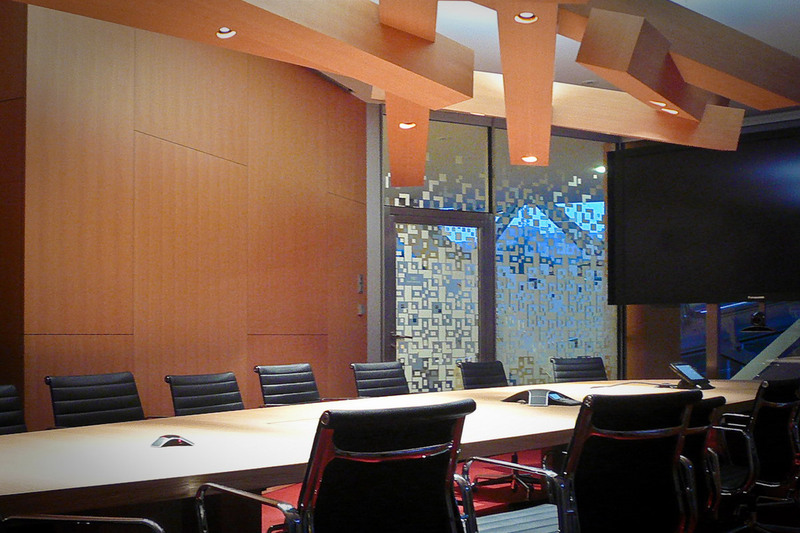 WSDG teamed up with Virtually Audio to meet Novartis’ vision of equipping the room for various user scenarios, such as large media conferences, addresses from the CEO and scientific collaboration. 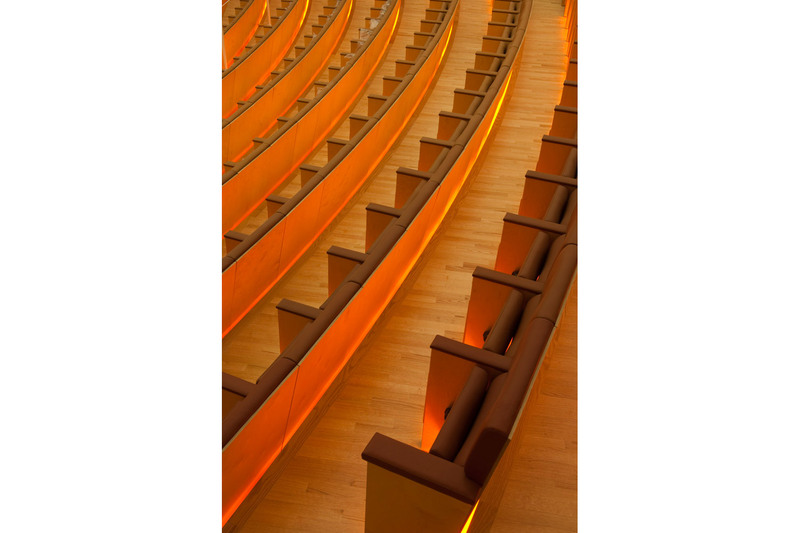 A moveable partition wall was designed to provide extreme noise isolation for simultaneous use of both upper and lower auditoria. Although it is below ground, the auditorium receives daylight through a skylight and the sand- blasted glass-ceiling panels. 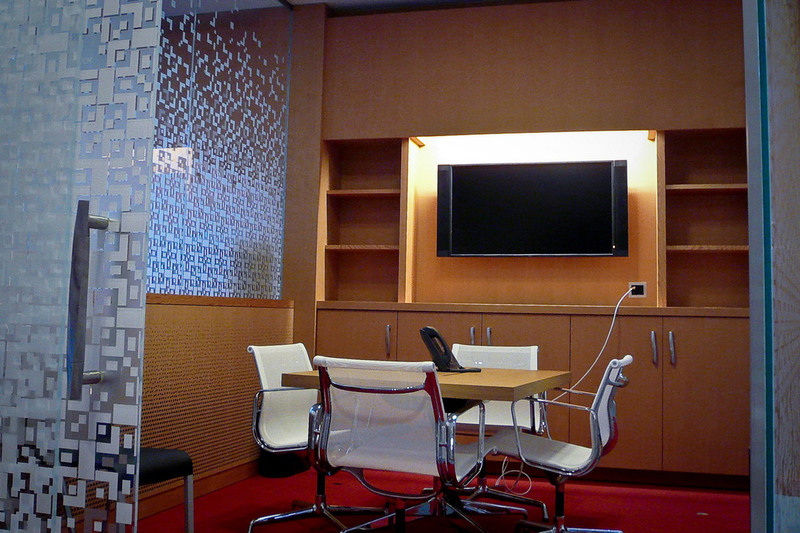 Selected panels are motorized to allow the acoustics to be varied according to different room configurations. 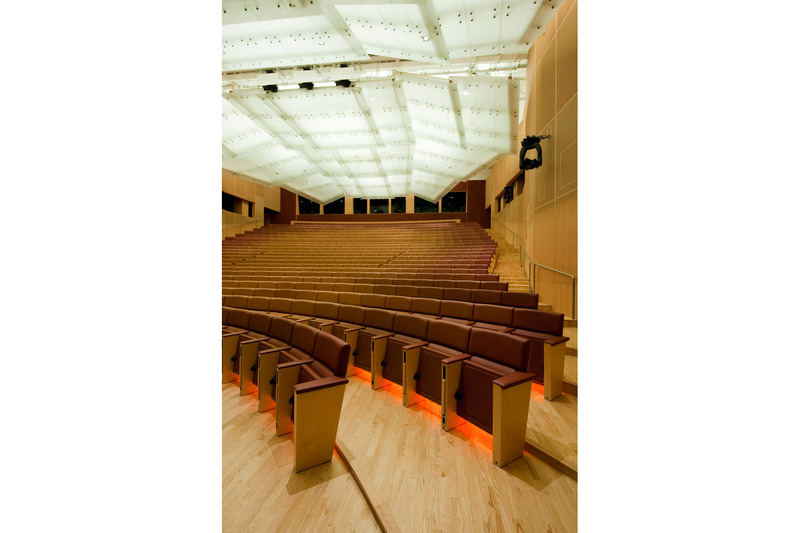 The room can be divided, a full auditorium, or split into an upper auditorium and lower auditorium. The upper and lower auditoria can be used simultaneously and independently.